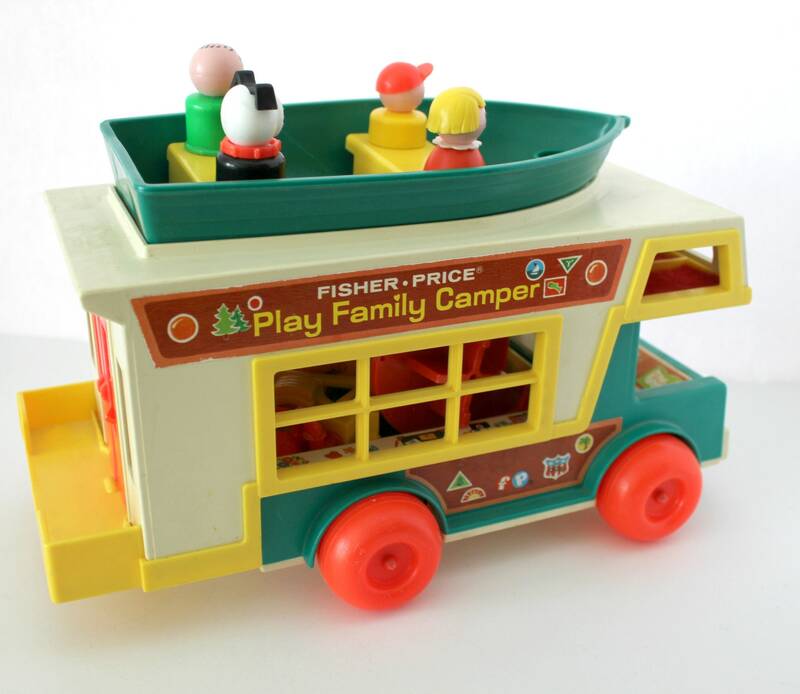 A nice vintage Play Family Camper by Fisher Price with 1972 copyright date. 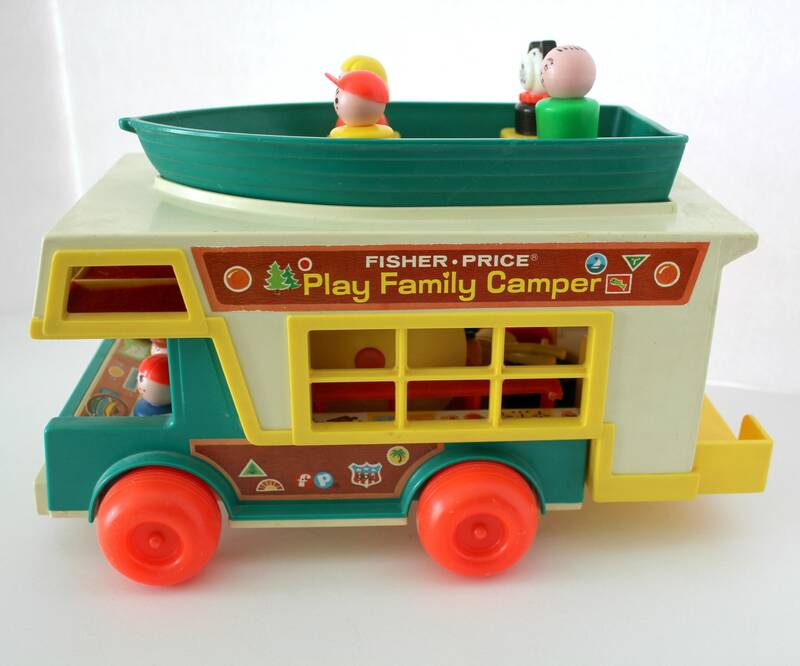 Camper detaches from the truck and the boat is stored on top of the camper. 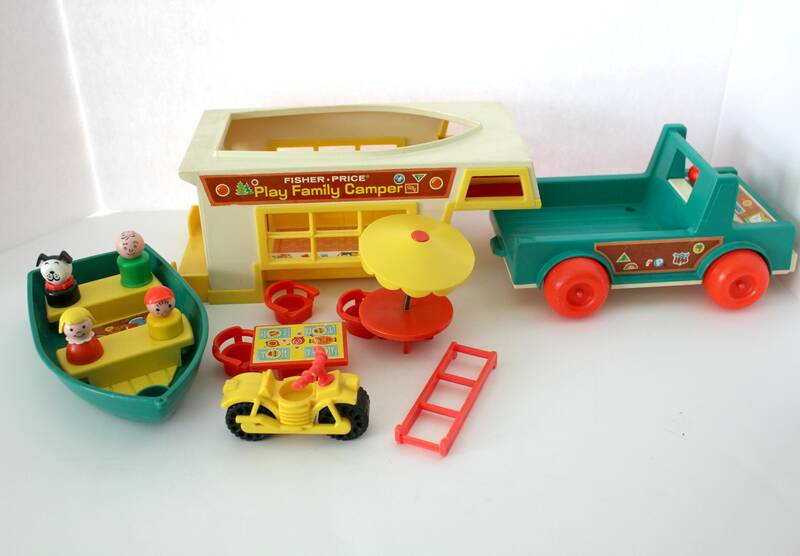 The motorcycle stores on the back of the camper. 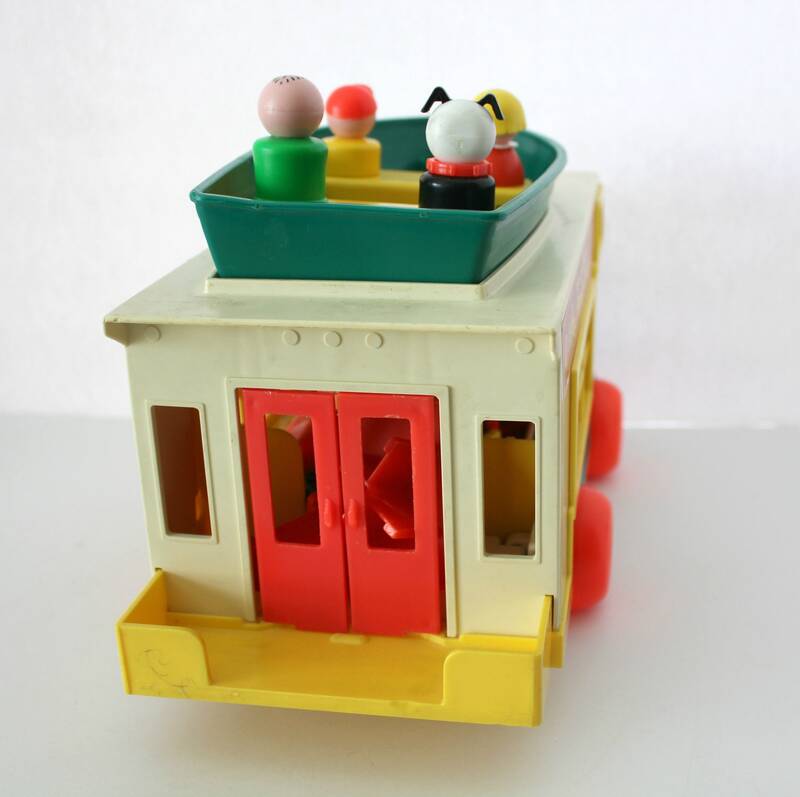 Comes with everything you see, including dad, mom, two boys, a girl and a dog, picnic table with umbrella, square table, 3 chairs, motorcycle, bunk bed ladder, toilet and sink. We are throwing in an Ernie and 4 felt squares that were found with the set. Condition is nice. Just some light normal signs of use and soiling. 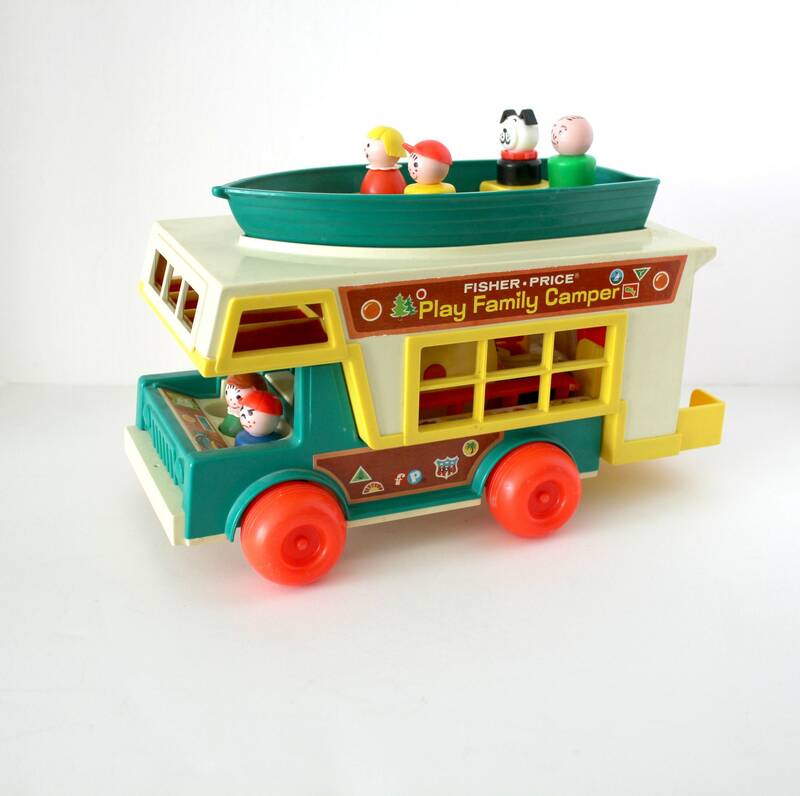 Missing a few pieces. 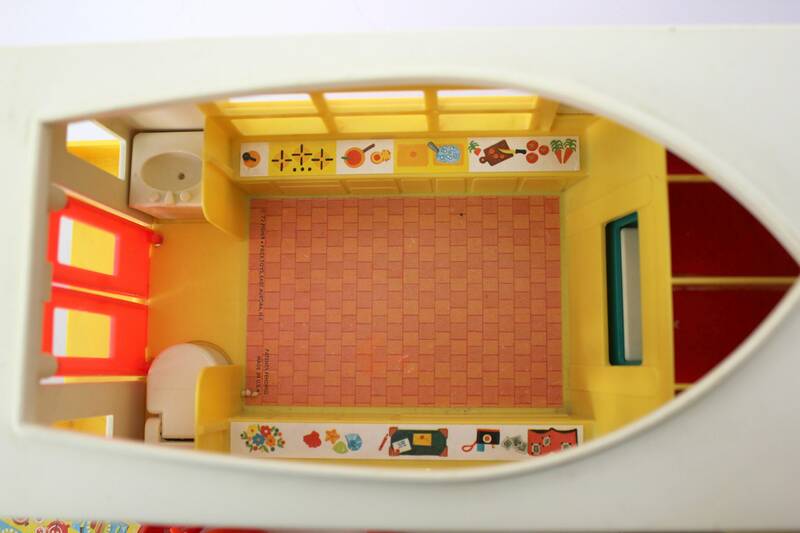 Please see all photos, including inside the camper that shows the toilet and sink.